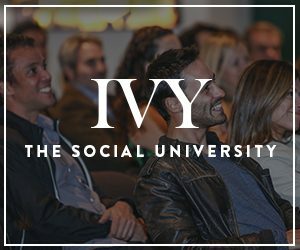 IVY is the world’s first Social University. Our mission is to educate and inspire the next generation of leaders by introducing them to transformative people, ideas, and experiences. Visit IVY.com to learn more and join a vibrant community of entrepreneurs, professionals, and creatives shaping the world of tomorrow.